Over the past 10 years Greenleaf Lawn Care has been providing top professional lawn care all around Tulsa and the surrounding area. 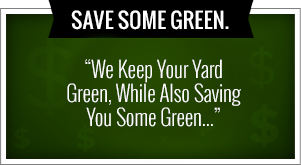 We provide a plethora of services such as mowing, landscaping, holiday lighting, Tulsa weed control and many others. We know that you will not find another lawn care company out there that will bring you the rich, beautiful lawn that you have always dreamed of having. Our experts are here to help you with any of your lawn project ideas that you would like help with. Give us a call at 918-640-6405. Let me just name a few of our services that we offer here at Greenleaf the Tulsa weed control company, they are long fertilization rates starting at only $35, spring cleanups and grass scalping, small shrub removal and planting, sod installation, small tree removal and planting, the for removal, head showing and shaping, flower bed maintenance and a weekly lawn maintenance. The matter what service you choose you will always know you will get the best customer service and the best product available. All these services are provided by our expert turf enhancement engineers. We will always give you extremely knowledgeable people and certified people to help you with any job you need done especially Tulsa weed control. We only staff fully certified spray technicians from right here in Tulsa. They are all certified by the Oklahoma Department of Agriculture and are equipped with the exact licenses that will bring you the best in Tulsa weed control. You will deathly not find anybody who understands grass and weeds better than our team members. We also offer different services that are seasonal. Some of those services would include seasonal flowers and mulch, holiday lighting, gutter cleaning, leaf cleanup from lawns and landscape beds, trimming back perennial plants, scalping lawns, aerating and over seeding in the best snow and ice removal in town. The best thing is that we are able to be reached 24 hours a day, seven days a week. We also have plot trucks available if you need. We also do something that is almost unheard of these days, we actually get out of our vehicles and shovel your sidewalks clean. Even though we do not get the same amount of snow that other regions get, it is good to know that you can give us a call at any time to help you out if you are snowed in somewhere. We would also recommend that you consider our holiday lighting packages. The reason is because each year there are so many accidents with people putting up the Christmas life that we do not want you to become one of the many. We have the staff and equipment to do it safely and efficiently and get it looking great for you. We just wouldn’t want you spending your holiday season in a cast with a broken leg. We want you to running around throwing snowballs at family members. Give us a call today to set up an appointment. Greenleaf has over 10 years of experience helping and serving the Tulsa, Oklahoma area. Our specialty involves making all of your lawns as beautiful as possible which increases beauty of your home as well. If you want your line to be taken care of by the top professionals in the state when it comes to maintaining a beautiful lawn that you need to give us at Greenleaf a call at 918-640-6405. By all the response that we have gotten over the years we know you will be glad that you called. Our professional lawn care ability is second to none and all of Oklahoma. We are able to take care of your mowing, Tulsa weed control, mulching, lawn maintenance and so much more. We are so passionate about making your lawn look more beautiful than it ever has before. You will notice that everybody on our team feels the exact same way. You will not find a drop-off in passion no matter what team member you talk to. 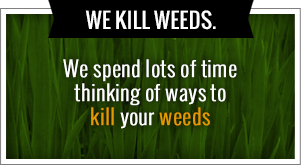 We are also able to help with your Tulsa weed control and fertilization of your lawn. We have a six step program that will eliminate all the weeds in your yard. With our state-of-the-art system we use herbicide application followed by fertilization and then we fall that with a variety of proven methods that will eliminate weeds at your residence or at your business. The thing that a lot of national companies do not understand is that there are a variety of weeds that are native to the area they can absolutely destroy a lawn if they are left untreated. We do not want you to fall victim to these nasty weeds. Step up and get proactive by hiring Greenleaf Tulsa weed control and we know that you will be very happy that you made that decision. One of our hottest services that we offer is our holiday lighting package. Every year you will hear stories of hundreds of people that have hurt themselves or may have even died while putting up their Christmas lights. We definitely want you to be safe over the holiday season so few have the opportunity to allow us to put up your Christmas lights we would love the opportunity. We have the right equipment and personnel that will be able to work with you to put your lights in the best locations that make your house look great. We have spent years doing this and have seen pretty much everything so if you need advice on anything with your Christmas lights we are here to help. We also know how much almost all the men in the world despise putting up Christmas lights. From having to deal with bad weather to trying to balance on the top step of a shaky ladder to having strands of lights that just don’t work it is all such a horrible process. If you let us take care of it for you all you need to do is pick up the phone. We will work with you to create the best design and then put up your lights and aft the season is over we will even take them down and store them in a safe location. Most lights don’t work the following year because they are not stored correctly. Let us take care of all this for you and you will eventually save money by not having to buy new lights every year.